It’s time to raise the bar on our conversations around school change. 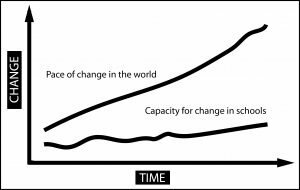 The gap between the increasing pace of change and our inability in schools to adequately respond to it is what keeps Bruce and Missy and I (and others) up at night. 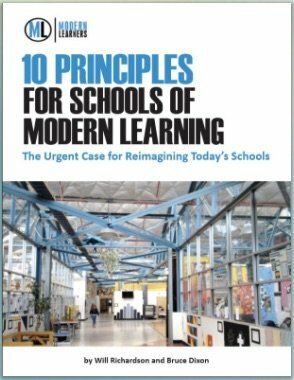 Introducing our newest white paper: 10 Principles for Schools of Modern Learning: The Urgent Case for Reimagining Today’s Schools. 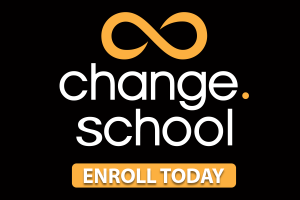 It’s our first shot across the educhange bow that we hope will get you thinking and talking and acting to lead serious, sustainable change in your schools and classrooms. A framework for developing kids who are deep, powerful, curious, agile learners. Action steps to inform a change process in your school. Questions you can ask to start creating change in your school. Links to resources you and your stakeholders can access today to get started. Insights and ideas to help you make better decisions about your school’s future. Methods that schools are already using to transform student learning. We’ve got more coming: a new podcast series, resources for ChangeLeaders, and an 8-week course that we think will move schools into the modern world with relevance, sustainability, and scale. We’re not naive as to the work that real change takes. In fact, if you don’t have a healthy dose of courage and commitment to creating a new narrative for schooling in this moment, you won’t want to tag along on this ride. But if you do, welcome. Read and share the whitepaper, join us on Facebook, and start to build your own capacity for change with a community of global leaders invested in doing what’s right for our kids in these challenging yet exciting times. ← Who is Paying Attention?